Storage box for slide staining racks. 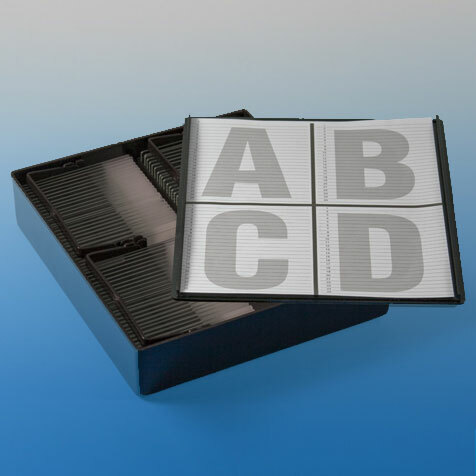 Lid of box includes a sheet for slide identification. 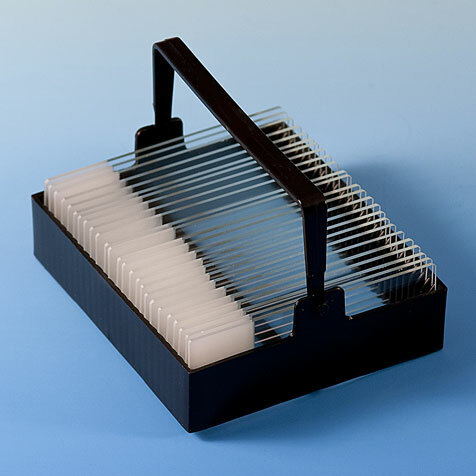 Holds up to 4 slide staining racks (100 slides). 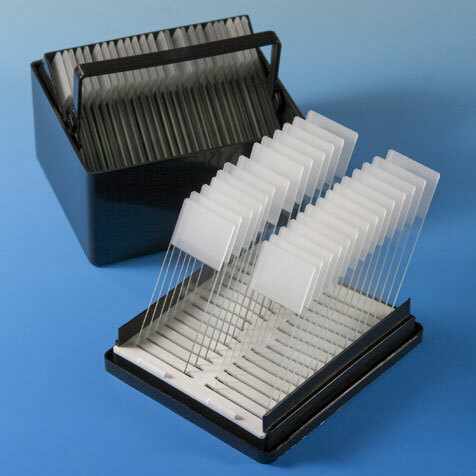 Designed for use with slide staining racks #513220. Note: Microscope slides and staining racks sold separately.